Tree roots are a constant challenge for inner-city vegetable gardeners, particularly when they’re from camphor laurel trees. 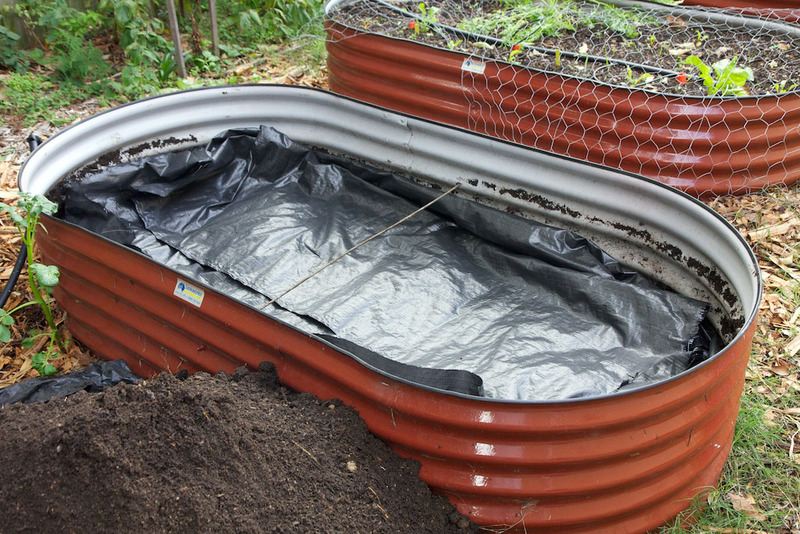 Over the years, I’ve taken various steps to protect the beds, including replacing some of the existing raised beds with entirely enclosed tanks. Because of the cost and effort, I only re-engineered the lower beds that were closer to the trees, hoping that this would be enough. Sadly this was not the case. My top bed, closest to the road, had been steadily dropping in productivity, so I had a poke around. And sure enough, the bed was filled with tree roots, coming up from underneath. So I decided to rework this as a wicking bed. 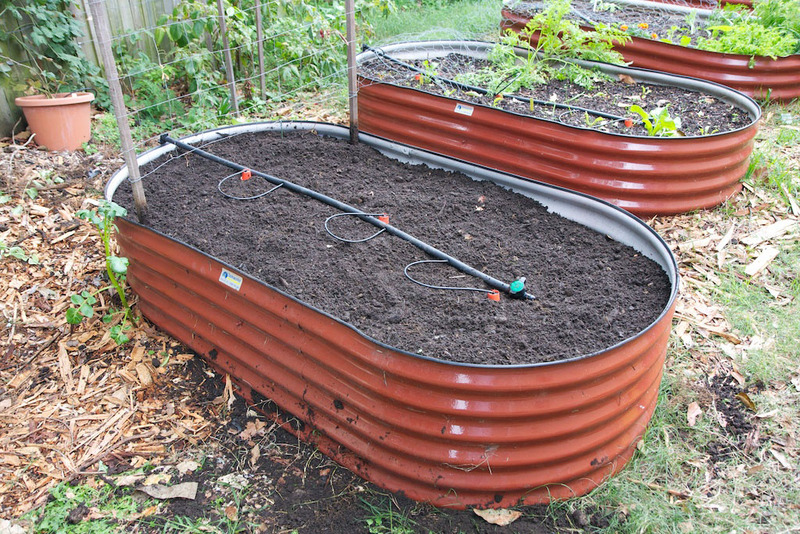 Deep Green Permaculture has by far the best description of how wicking beds work, including a description of both advantages and disadvantages (something I haven’t seen anyone else cover). 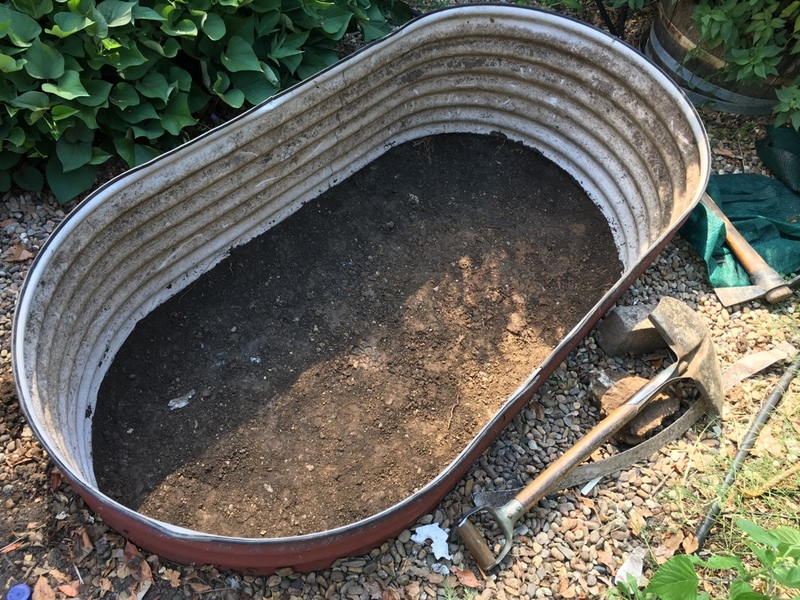 The starting point was to dig out all the soil from the bed, tacking it down to a flat surface free of rocks or other sharp objects. 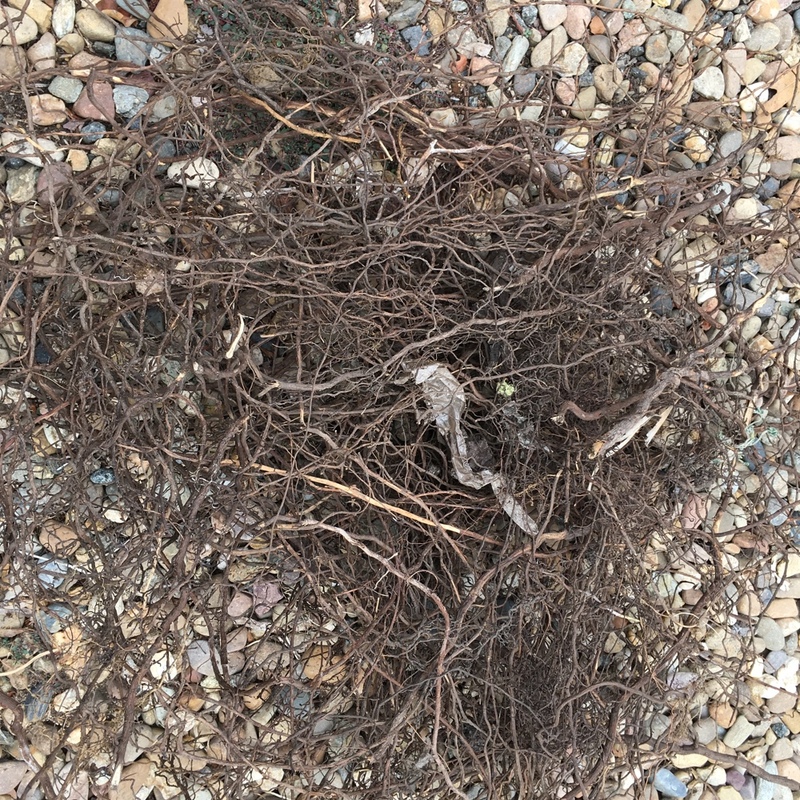 And this is just a fraction of the roots that I dug out of the bed, which wound themselves around the entire perimeter of the bed, reaching almost up to surface level. No wonder the bed was struggling! A 20cm deep layer of scoria was then laid down, covered by a layer of geo-textile. I also drilled an overflow valve at the top of the scoria, with a tank outlet screwed in. I then re-filled the garden bed, adding a lot of home-made compost, fertiliser and trace elements. All up, about a day’s labour was required, but the new bed is now back to being highly productive. I have enough left-over scoria to do another bed, which I’ll do when the season ends. 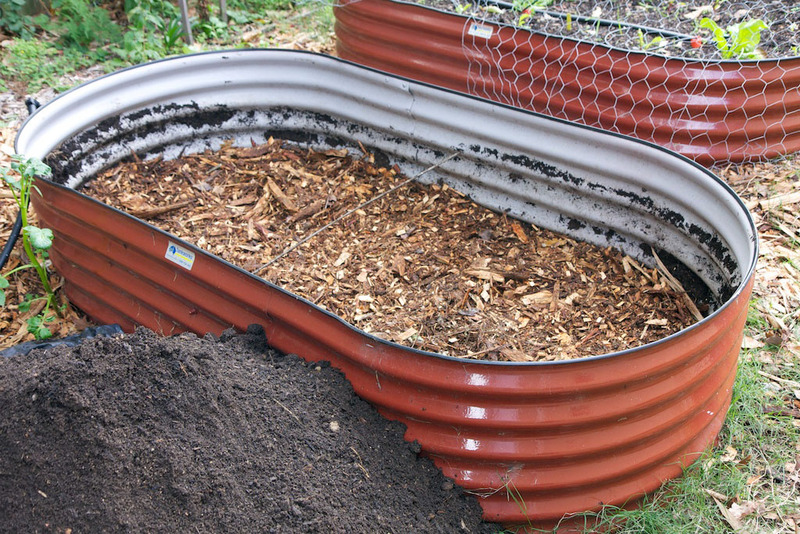 This entry was posted in Growing our own food and tagged raised garden beds, tree roots, wicking beds. 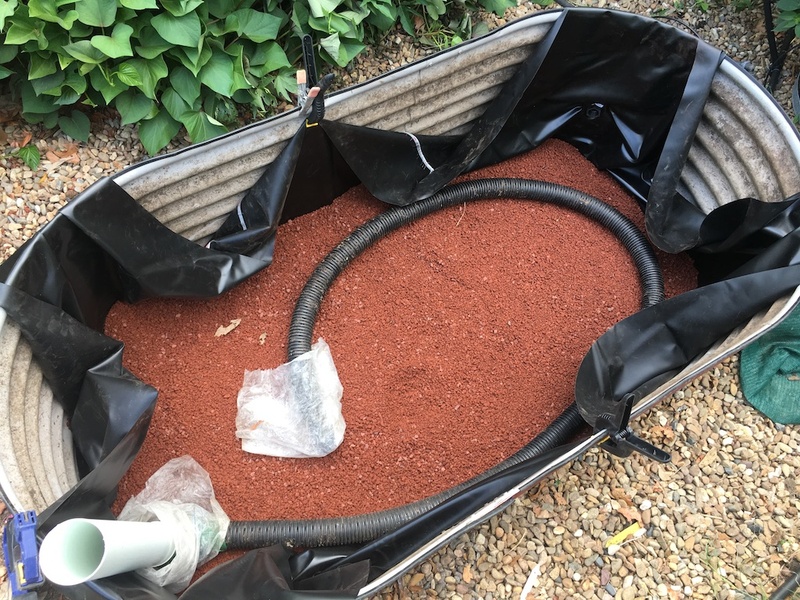 When establishing our raised garden beds, I had thought this would proof us against issues in the soil, including the impact of neighbouring trees. How wrong we were. The camphor laurel has proven to be very vigorous, and when I turned over the soil in the bottom two beds, I found feeder roots coming up through the bottom of the bed. No wonder the plants weren’t growing properly! No choice but to take drastic action (short of cutting down the noxious tree itself). The starting point was to fully dig out the garden bed, which was no small task, as there’s 1.5 tonnes of soil by a previous calculation. 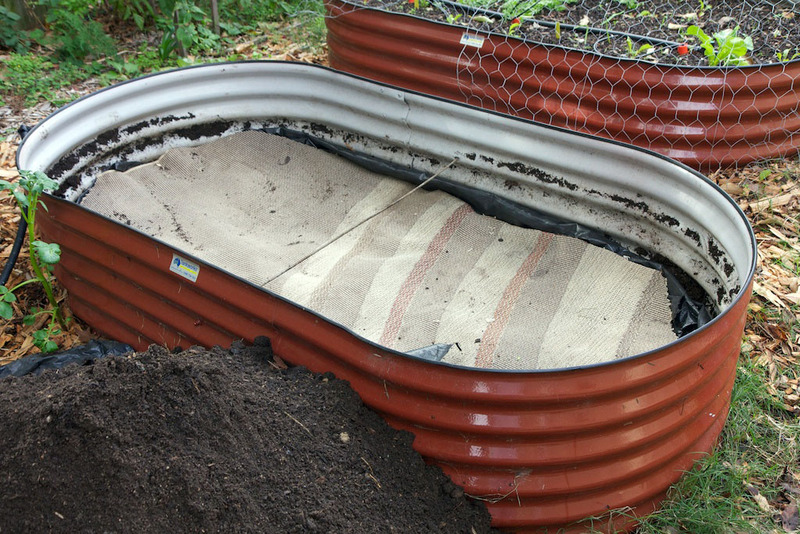 Multiple overlapping sheets of weed mat should then form an impervious barrier to the roots, at least to some degree. Getting 1.5 tonnes of soil back into the bed was my final workout. Having read that roots breaking down release toxins, I carefully removed the camphor laurel roots when refilling the bed, which slowed the whole process down. Hopefully that’s all fixed now, and I can get back to growing vegetables! 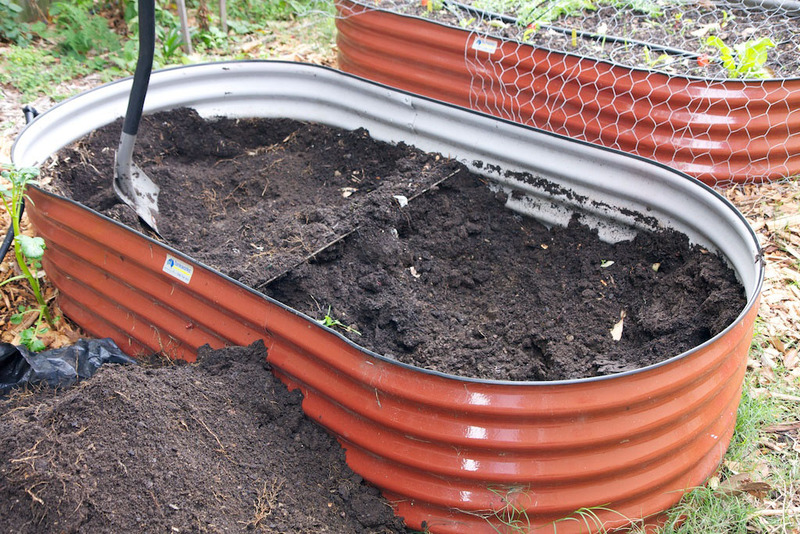 This entry was posted in Growing our own food and tagged raised garden beds, roots, weed mat.